63% of the world’s primate species are currently threatened with extinction based on a study published in Science Advances, led by Alejandro Estrada and Paul Garber and co-authoring, one of the founders of the Lemur Conservation Network, Conservation International Executive Vice Chair and Chair of the *IUCN/SSC Primate Specialist Group, Russ Mittemeier and Senior Research Scientist of Conservation International and Deputy-Chair of the *IUCN/SSC Primate Specialist Group, Anthony Rylands. 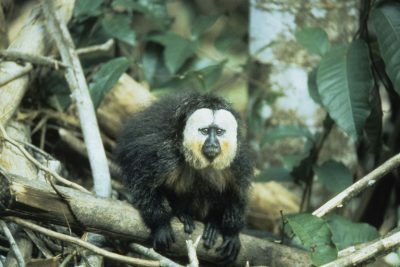 The IUCN/SSC Primate Specialist Group was created in the early 1960’s to establish a global network of primate conservationists. 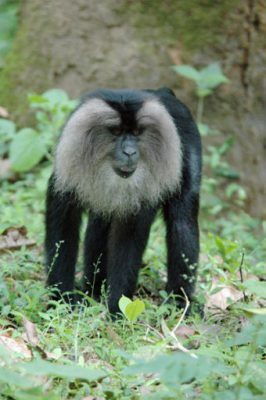 Primates, which are the third most diverse order of mammals, are under the highest level of threat of any larger group of mammals and among the highest of any group of vertebrates. All of this means that primates are identified into one of the three IUCN categories of threat, Critically Endangered, Endangered and Vulnerable. This can be interpreted as 43% of all primates (298 species), that are Critically Endangered and Endangered, which signals a very big red flag. The region where this issue is most extreme is the island of Madagascar. 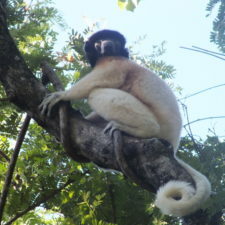 Even though this country is less than 2% the size of the other three major regions where there are primates and less than 1% of the total area occupied by these animals, Madagascar is a vital region for primates, since it is the natural habitat of lemurs, endemic primates (around 110 species). 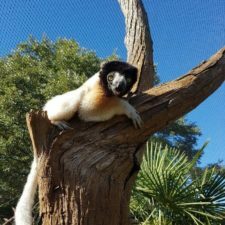 Based on this study, it is recognized that 94% of lemurs are threatened (66% falling into the Critically Endangered and Endangered categories), with the highest percentage for any larger group of mammals. One of the main reasons why primates are endangered it is due to the loss of their natural ecosystems. Mostly, for commercial purposes, like oil palm, soy plantations, livestock ranching, commercial logging, wood harvesting and fuelwood production. Other factors that are not helping with primates’ conservation are the development of hydroelectric dams in the Amazon, Central America and Southeast Asia. 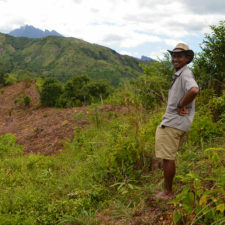 Mining, oil and gas, slash-and-burn agriculture or as in Madagascar is known, “tavy”; have big significant impacts. Also, hunting for food and medical purposes (which can be the cause of some of the first primate extinctions), biomedical research, primate pets and certainly, the issue of global climate change. This is especially hurtful in regions where the human population is big and poor and there’s not enough time or efforts to restore the lost area. One silver lining of all of this, is that the world did not lose a single primate species or subespecies in the 20th century and Mittemeier and Rylands established that reversing trends in species numbers is possible. White-faced saki (Pithecia pithecia), male, Suriname. Photo by Russell A. Mittermeier. 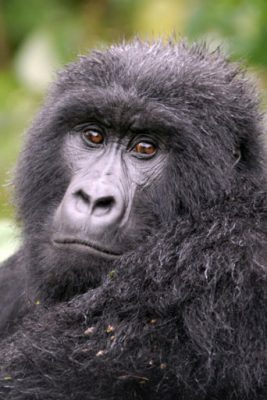 What’s next for primate conservation? There must be an effective protection of habitat, through the creation of national parks, biological reserves, wildlife sanctuaries and biological corridors to link all possible protected areas, and it is important that they have the complementation of private and community-managed (not governmental) reserves. Also, it is necessary to ensure that these protected areas run well and their objectives are accomplished. 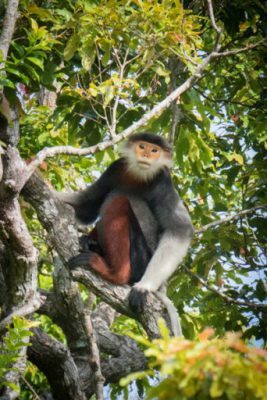 Other essential solutions for primate conservation is the long-term research presence in protected areas, since the healthiest primate populations are found close to these research sites. Research also, provides essential data on their behavior and supervises the different species. Ecotourism following prime-watching and primate life listing (following the bird-watching model) has also a great role in primate conservation since primates are very popular and the public gains awareness and knowledge of the animals and their conservation. This is especially needed because ecotourism also profits the nearby communities engaging and making the primates more important for them. Primates are amazing animals and we must agree to take their protection as a inter-generational responsibility, remember to always support their conservation and avoid all type of business and policies that continues to endanger these animals. Estrada, A., Garber, P., Rylands, A. B., Roos, C., Fernandez-Duque, E., Di Fiore, A., Nekaris, K. A. I., Nijman, V., Heymann, E. W., Lambert, J. E., Rovero, F., Barelli, C., Setchell, J. M., Gillespie, T. R., Mittermeier, R. A., Arregoitia, L. V., de Guinea, M., Gouveia, S., Dobrovolski, R., Shanee, S., Shanee, N., Boyle, S. A., Fuentes, A., McKinnon, K., Amato, K. R., Meyer, A., Wich, S., Sussman, R. W., Ruliang Pan, Kone, I. and Baoguo Li. 2017. http://advances.sciencemag.org/content/3/1/e1600946″>Impending extinction crisis of the world’s primates: why primates matter. Science Advances 3: e1600946. 16pp. DOI 10.1126/sciadv.1600946. Schwitzer, C. Mittermeier, R. A., Davies, N., Johnson, S., Ratsimbazavy. J., Razafindramanana, J., Louis Jr., E. E. and Rajaobelina, S. 2013. 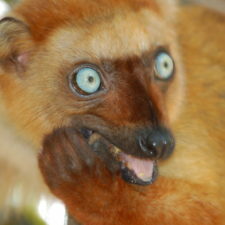 Lemurs of Madagascar. A Strategy for their Conservation 2013–2016. IUCN SSC Primate Specialist Group, Bristol Conservation and Science Foundation, and Conservation International. 185pp.